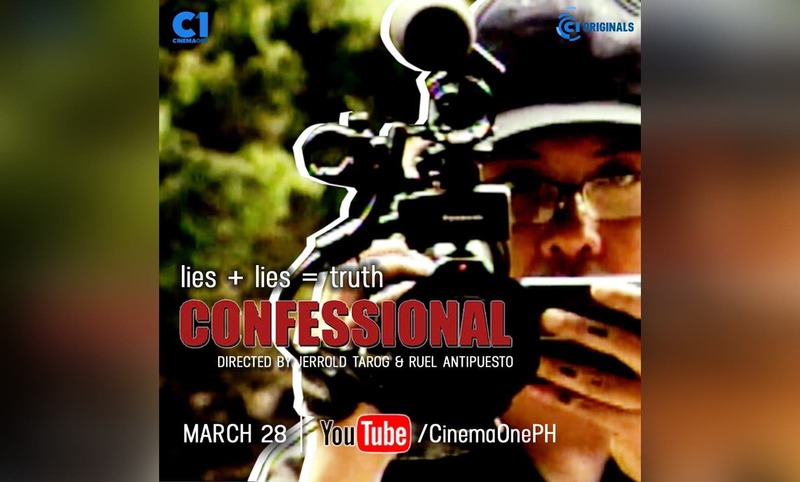 Award-winning Cinema One Originals film “Confessional,” directed by Jerrold Tarog and Ruel Antipuesto, will be streaming on Cinema One’s YouTube channel starting Thursday (March 28). The mockumentary features fictional character and filmmaker Ryan Pastor who meets former mayor Lito Caliso while on his way to Cebu to document the Sinulog Festival. Lito then confesses—in front of Ryan’s camera—all the crimes he committed while in office. This story, written, edited, and starred by Jerrold himself, won Best Film, Best Director, and Best Screenplay, among other recognition in the 2007 Cinema One Originals. “Confessional” also bagged the Best Film nod in the First Features Section of the 10th Osian’s Cinefan Festival of Asian and Arab Cinema in New Delhi, India, as well as the Best Southeast Asian Film in the 10th Cinemanila International Film Festival. Discover what made “Confessional” a great cinematic revelation as the film streams for free on Cinema One’s YouTube channel starting March 28. Like and subscribe to www.youtube.com/cinemaoneph for free movies. Deadline of Submission for Cinema One Originals 2011 Extended!